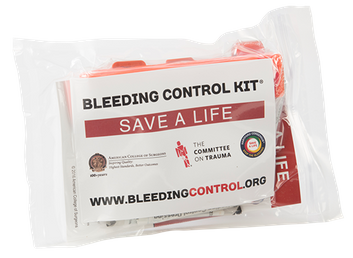 The Personal Bleeding Control Kit was developed in collaboration with leading manufactures in the hemorrhage control industry and military. The tourniquet and hemostatic dressing in the kit are the same technology recommended by the U.S. Military to control bleeding. 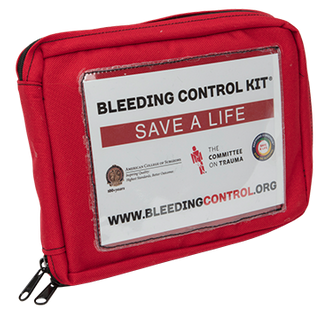 The Premium Personal Bleeding Control Kit comes in a zippered red nylon pouch for long-lasting durability. 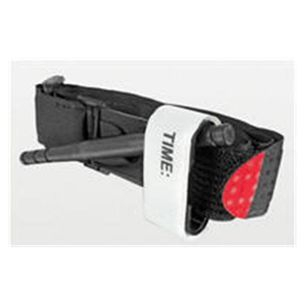 Bring it with you camping or hiking, at sporting events, outdoor venues, and on trips. The zippered nylon bag will protect the kit and keep you prepared for when a bleeding emergency no matter where you are. This is a true one-handed tourniquet proven to be 100% effective by the U.S. Army Institute of Surgical Research. The C-A-T tourniquet utilizes a durable windlass system with a patented free-moving internal band providing true circumferential pressure to the extremity. Once adequately tightened, bleeding will cease and the windlass is locked into place. A hook and loop windlass retention strap is then applied, securing the windlass to maintain pressure during casualty evacuation.